I am so excited for this change… I am really nervous and we are a little lost on how to efficiently work in both areas, considering that both are asking us to focus only on them. But, thanks to an amazing companion, I am doing well. 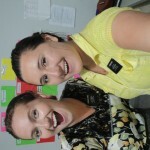 My new comp is Hermana Steel.. She is amazing, she is wonderful, and I feel she is my twin… she is from New Mexico. 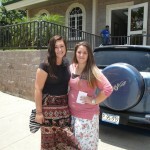 I love Hermana Steel. I feel that she is my long lost twin and will become one of my closest friends. 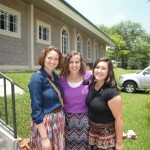 She loves working and in most of our studies we have focused on working with members and looked at examples in the Book of Mormon, like when Alma visits the Zoramites. I love it so much! 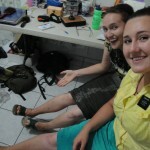 We are also still stressing family seen, family contacted, so in order to meet with our daily goal, Hermana Steel and I left the house again at 8:50 at night in pouring rain, in flip flops, to find a family… we found them. They probably think we are crazy… it wasn’t their time yet. But, obedience brings blessings! What is the coolest thing that happened to you this week? Hope you have an epic week! Be happy! I love the work, I have no idea what to do, but I am happy! Thank you! Previous PostHermana Hipol vs. Death of the SpaniardNext PostHermana Hipol vs. One score and Around the mish in Three hours.